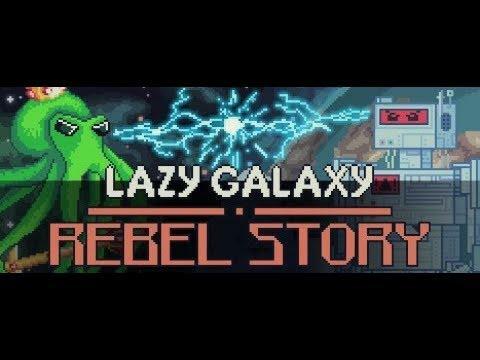 Lazy Galaxy: Rebel Story is an interesting take on the shoot 'em up genre, as it mixes it up a little with you rescuing allies who join you in the fight. Developed by Coldwild Games, who also made Lazy Galaxy which is a surprisingly nice clicker/RTS mix they told me that "as usual, linux support is our top priority"—awesome! The squad feature seems like it works quite well. Allies stick to your main ship and you're able to change formation at the touch of a button, which is useful for avoiding enemies. Getting all your ships in a single line is also handy to focus-fire on a bigger enemy. It seems they're using the older version of Unity that has some input bugs on Linux, so I've let them know now that I've been able to test it. The release is due on the 22nd of August, so if you want to try the demo out it's available on Steam.